Boaters on Kentucky Lake and Lake Barkley won’t have to pack their coolers full of deli sandwiches and leftover fried chicken anymore. 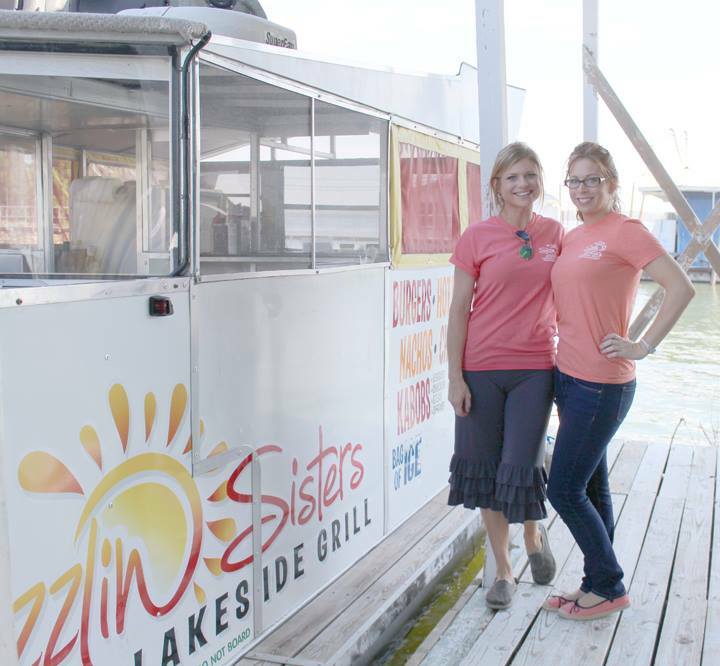 Beginning this season, the Sizzlin Sisters Lakeside Grill, a floating restaurant on a 30-foot pontoon boat, will offer hot meals such as chicken and steak kabobs, burgers, bratwursts and quesadillas — plus snacks, soft drinks and ice cream. Southern Komfort Village and Marina on Kentucky Lake will serve as home base for the business, which will then travel on the weekends to destinations such as The Sands and Smith Bay.